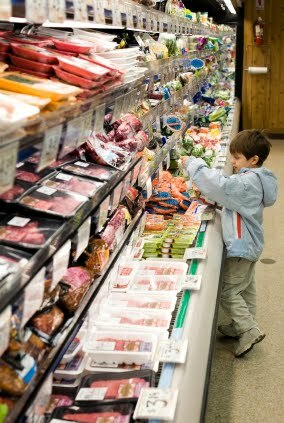 The next time you go grocery shopping, make it a more educational, enjoyable and literate experience for your kids with a Supermarket Scavenger Hunt! □ One loaf of Dempsters 100% whole wheat bread. It helps if your list is divided into categories, such as produce, meat, canned foods and, of course, snacks. That way, the kids will be in one specific area of the store at a time and you can keep an eye on them more easily. For older children, throw in a few challenging items, such as ethnic foods. For instance, One jar of Red Shell Teriyaki sauce. 2. As each child brings you items, check to make sure they’ve picked out the right ones. If not, send your troops back out into the field. 3. Reward your kids with a healthy treat! You can continue this activity when you get home. Include them when you’re making dinner by asking them to read out the ingredients in your recipe to you. Julia Mohamed is a freelance journalist. Photo: Wikimedia Commons. What a fun idea! My girls are a bit young, but I bet as a trio and with teamwork, they could have a fun time with this (especially if the items are low on shelves and I am relatively nearby.) Thanks!